The Quantum Accurist PT LP Baitcast Reel features a light-weight and compact aluminum housing decorated with sleek black and white graphics. 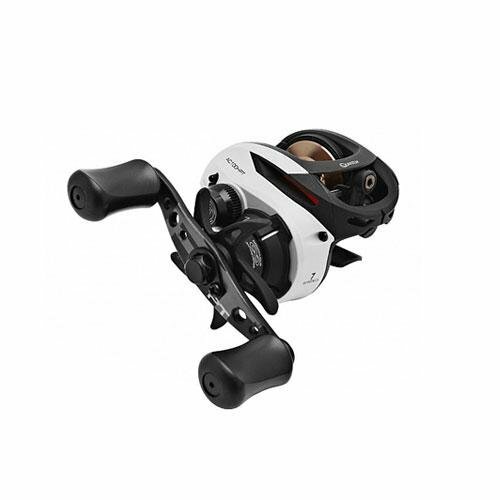 Looking and performing the part, the Accurist PT reel uses an internal ACS centrifugal cast control and external magnetic settings, so you can adjust your reel setting to handle multiple lure sizes as well as external conditions such as wind for the perfect cast. An abundance of premium features can also be found on the Accurist such as a titanium-nitride line guide, 7 PT bearings and a flipping switch for easy operation. As far as power, anglers will love the ceramic drag system so you can rip out fish from heavy cover!